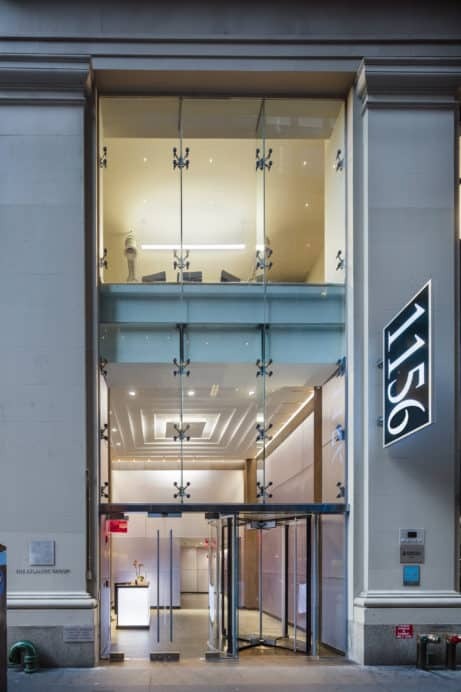 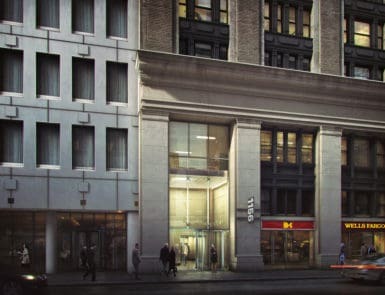 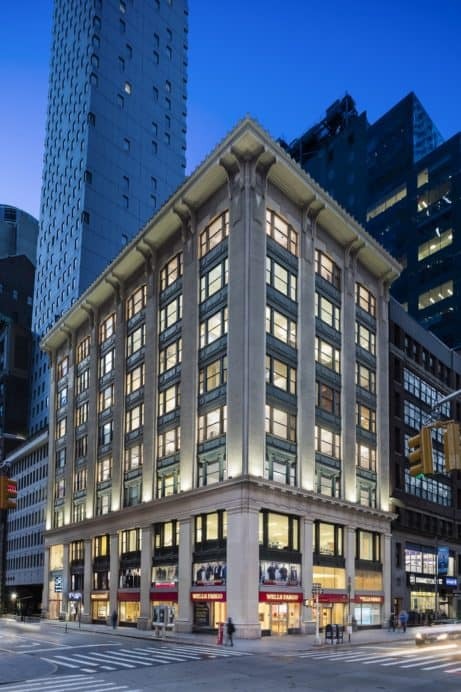 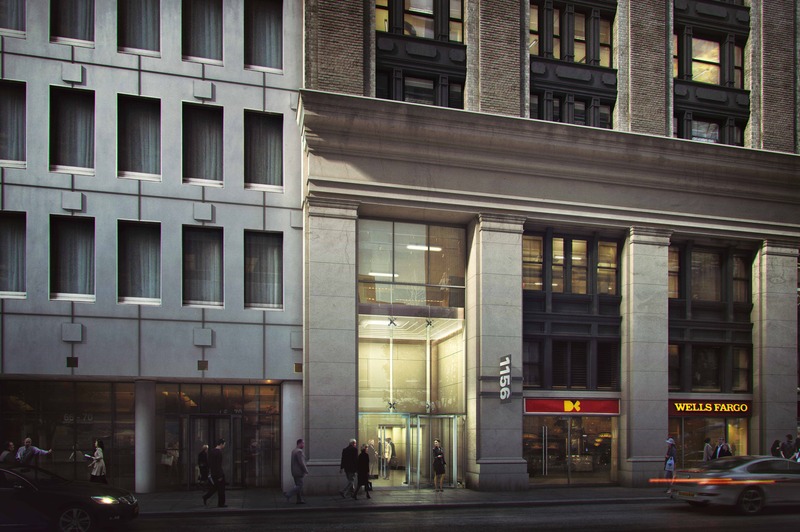 A classic 1911 building at the corner of 45th Street and Avenue of the Americas, 1156 will be modernized and upgraded with a new entry facade, new enlarged double height lobby and new elevators in a repositioning project designed by Sydness Architects. 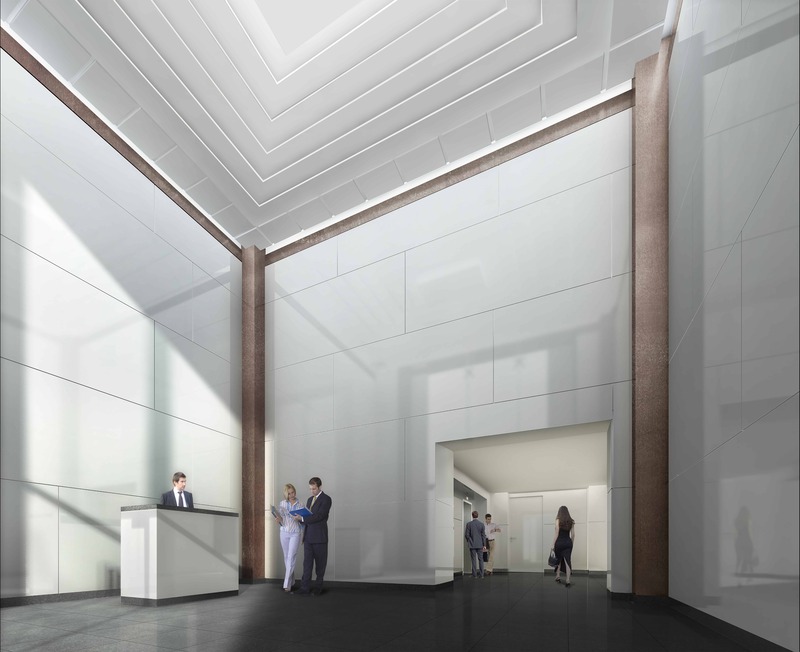 Removing a portion of the second floor slab to increase the lobby ceiling height allows for a prominent entry within one of the existing bays off 45th Street. 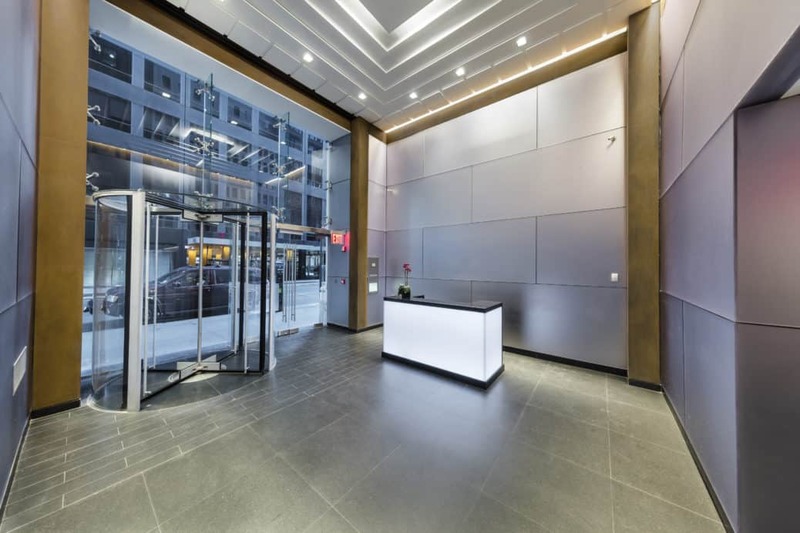 Using slightly reflective panels of Eco-resin in the lobby with cor-ten steel columns at the corners gives the space a contemporary feel while respecting elements found throughout the existing building. 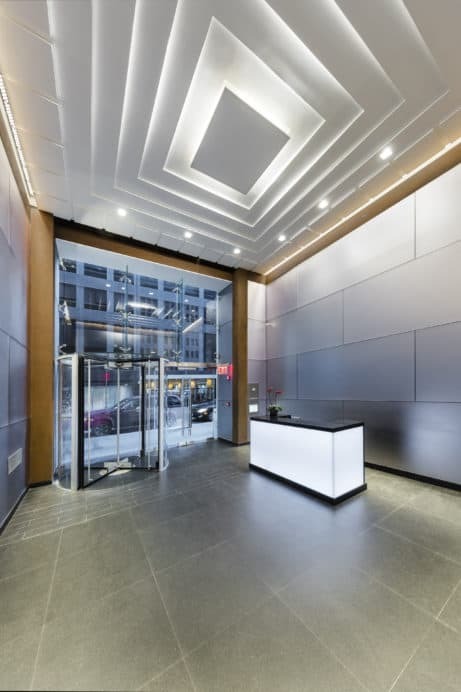 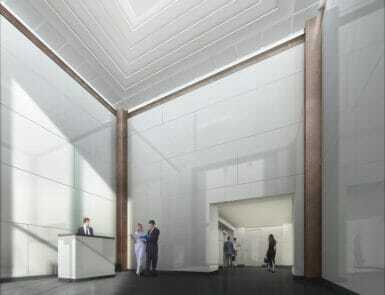 A new concierge desk, a black granite floor and new LED lighting complete the lobby design. 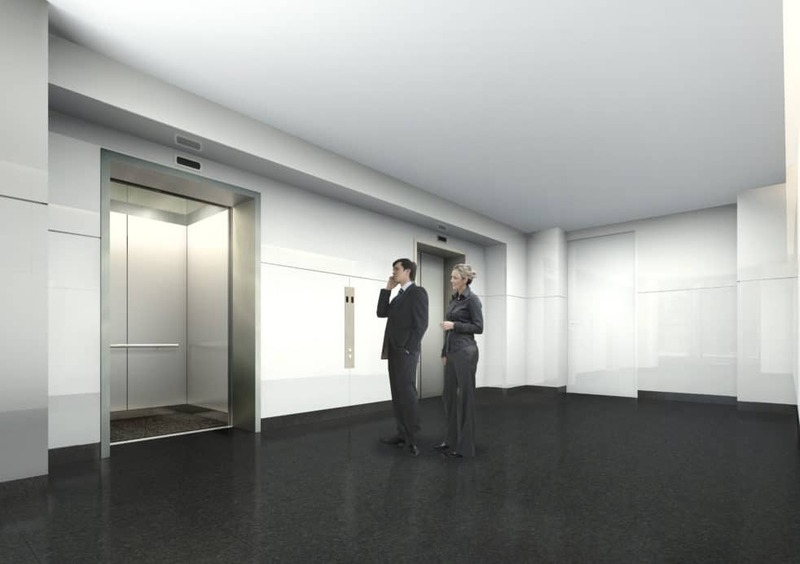 New elevator cabs with “corduroy” Eco-resin panels and new lighting add tot he building upgrade and help transform this classic building into a fresh new face in a great location.